When your payments from HoneyBook sync to QuickBooks, QuickBooks will recognize that there is a transaction to match, and will list them in the bank account that you have designated to sync with HoneyBook. 1. 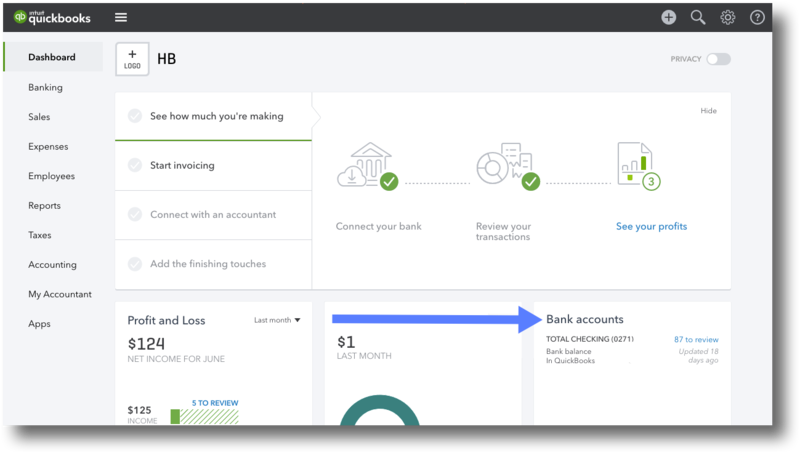 From your QuickBooks Dashboard (Home), click the bank account to which you receive your HoneyBook payments. This will be the account you've designated within your HoneyBook account as the Default Account. 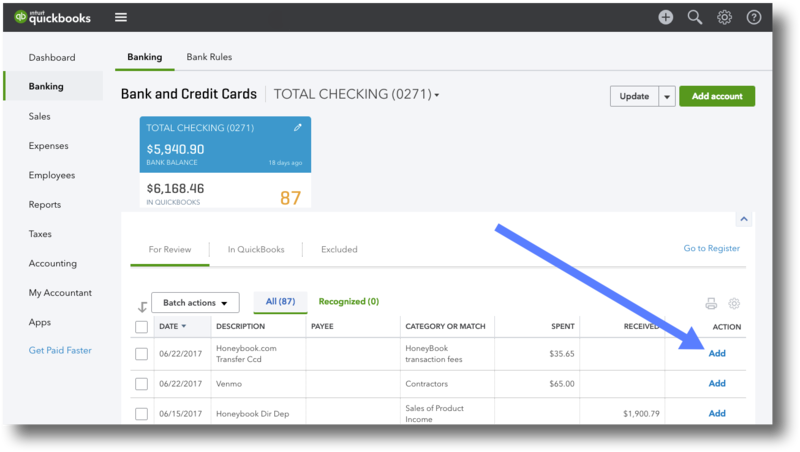 In the selected bank account, you should see all transactions that have come from HoneyBook into your Quickbooks account. You'll notice items that can be matched (noted under the Action column), along with the client’s name, email, and payment description. PLEASE NOTE: The payment description may only list as Stripe. This description is dependent on how your bank describes the payment. 2. Now, click the date for item you'd like to match. 3. Select Find Match from the radio button options. 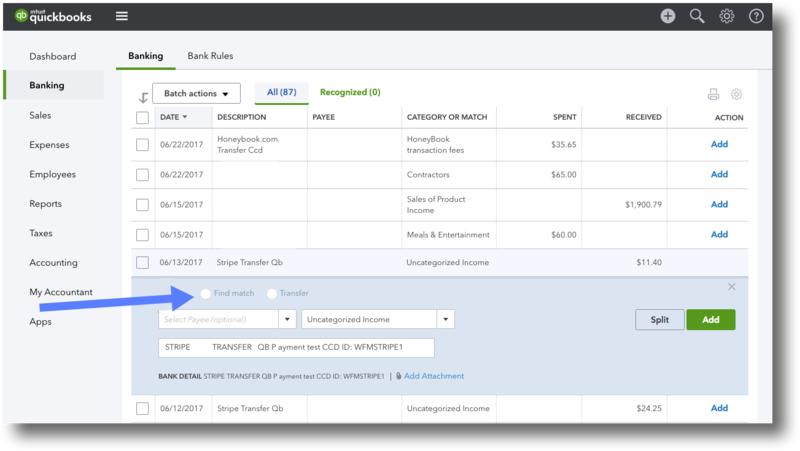 Since Quickbooks has already created an invoice and deposit for you, it will recognize that there's a deposit matching a payment you received. Both the payment and transaction fee will be broken out here. 4. If these numbers look correct, head back to the Banking section in QuickBooks. 5. Click Match under the Actions column to complete the match.